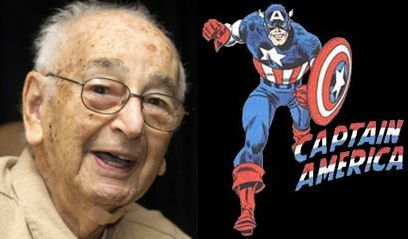 Joe Simon, who along with Jack Kirby co-created Captain America and was one of the comic book industry's most revered writers, artists and editors, has died at age 98. Among Simon's creations was a partnership with Kirby, a comic book artist and illustrator. The duo worked hand-in-glove for years and from their fertile imaginations sprang a trove of characters, heroes, villains and misfits for several comic book companies in their Golden Age of the 1940s, including Timely, the forerunner of today's Marvel Comics; National Periodicals, the forerunner of DC; and Fawcett, among others. Ed Brubaker, whose recent runs writing Captain America for Marvel have been heaped with critical acclaim, called Simon a "pioneer in comics, a mover-and-shaker and probably far ahead of his time."